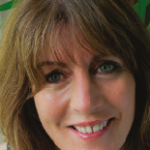 Q&A with qualified medical aesthetician and registered nurse Sarah Dale of Sarah Dale Aesthetics. What attracted you to purchase a NanoFractional RF™ device? our existing services without competing as well as give clients a results oriented treatment. I wanted something with as little discomfort and downtime as possible but packed with benefits. As a nurse I know how difficult is to treat melasma, scars, and skin texture but I have the confidence and education to know that skincare alone would not get the results we were aiming for. I was first introduced to Venus Concept with the purchase of my first medical device: The Venus Freeze, which I still use to this day. It is in my opinion the safest radio frequency device on the market. 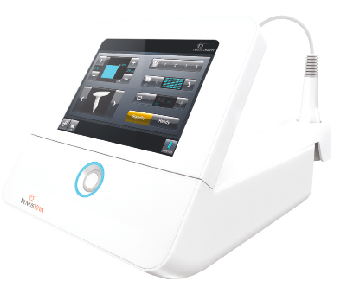 I was attracted to this device as it was compact, portable, and did not require the downtime and pain associated with fractional treatments and I was so impressed with the results as well as the support from the company that when they announced the launch of the Venus Viva I purchased the machine immediately. What should you look for when purchasing a NanoFractional RF™ device? Make sure it is safe technology. At SDA we only partner with quality companies that have proven trusted technology as well as a FDA stamp of approval. It’s very important to see case studies, make trips to the head office to ensure they are a direct office. At SDA we look for companies that offer extended training, warranties, easy payment options as well as business support. We have been very happy not only with the results of the Venus Viva but with Venus Concept the company itself. 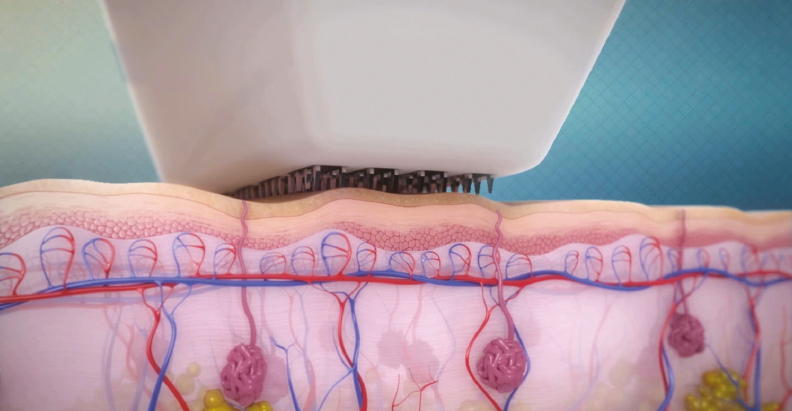 What results are gained from a NanoFractional RF™ resurfacing treatment? 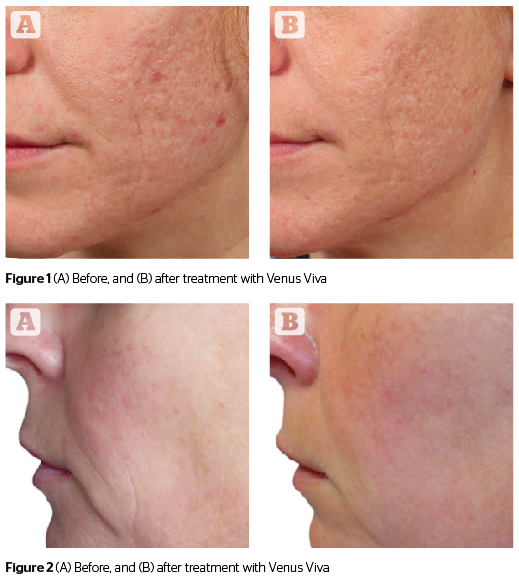 At SDA we have seen a wide range of positive results from a decrease in visible pores, evening skin texture, reduction in fine lines and wrinkles, reduced pigment in melasma, significant reduction in acne scarring, and we are starting to treat clients with rosacea which we are finding to be extremely well suited for NanoFractional RF™. How does the Venus Viva Work? SmartScan™ also consists of a pattern selection tool that allows the clinician to customize the treatment size and density for each pulse. This results in safer, more optimized treatments with better clinical outcomes. What is to be expected of the treatment? Who is a candidate for this treatment? Patients looking to improve the tone and texture of their skin.